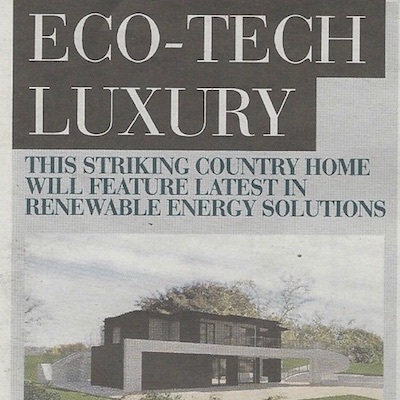 LEATHWAITE were passionate about creating this new contemporary home which combines exceptional design with low energy sustainable construction resulting in an ‘A’ – 96 Energy Efficiency rating. 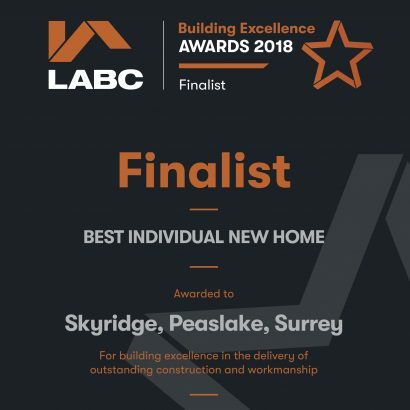 Completed in 2017 Skyridge is a unique house which has delivered against the design challenge of building a new home in the heart of the sensitive Surrey Hills greenbelt, and has provided an exciting addition to the diverse character of an Area of Outstanding Natural Beauty. The relationship of the house to the land minimises the impact of the house on the landscape whilst maximising the amazing position for the occupants. The design offers impressive views onto the site and beyond which along with the partially sunken nature of the building provides a feeling of connection with the landscape. The internal space and high standard of finishes would alone afford great merit, but combined with the bold architectural design, sensitive and creative positioning within an incredible landscape, the sustainable construction approach and ‘A rated’ low energy performance Skyridge is an amazing new home. 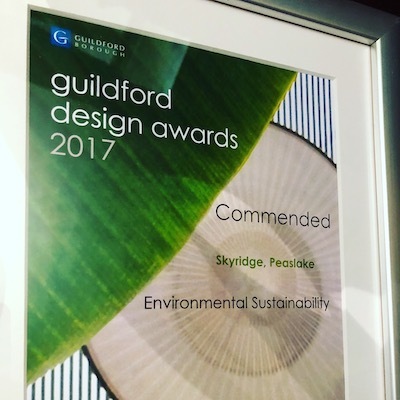 The project received a Guildford Design Award in November 2017 and was Commended for it’s Environmental Sustainability. It has also been shortlisted as a Regional Finalist for the LABC Building Excellence Awards 2018.